Hey now, TESL Ontarians! Recently, I have been teaching online and multimodal courses and I thought I would share with you an activity I have found effective when working both with ESL students and TESL pre-service and in-service teachers. As someone who is new to incorporating (in any substantive way) digital tools into my teaching arsenal, I have slowly come to view activities that allow for taking advantage of students’ digital literacies as invaluable. I hope you find the second part of this two-part description of how to incorporate Web 2.0 technologies in our language classrooms useful and engaging. The first part of this series described how I have used video introductions as a way to build a stronger (e-) learning community in my classrooms (See my post dated July 18th). This second part describes how to incorporate students’ digital literacies when engaging with notions of identity and investment in language learning through production of Autobiographical Identity Texts (AITs). An autobiographical identity text (AIT) is a multimodal, digital “text” produced by students, allowing for a narrative description of the intersections between language learning and identity construction/negotiation. More simply, this narrative digital text allows students to represent their multiple, hybrid, evolving identities as language learners to teachers and other students in a comprehensive manner that provides the opportunity for authentic language use, oral presentation skills, and critical reflection on their language learning. These texts include student descriptions of what moments have been decisive in students’ life journeys along with how different factors (e.g. 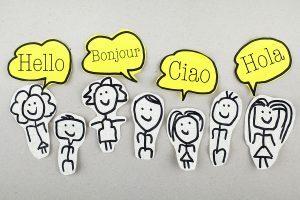 nationality, ethnicity, language, gender, class) have impacted how students view themselves as a member of real or imagined language communities (including English language ones). Ultimately, this activity allows for students to positively reflect upon their evolving identities as they learn English while building their awareness of language as a dynamic mediating tool for cultural expression. This activity can be used with students at any level of proficiency, including those in English for academic purposes (EAP) classrooms. *I highly suggest producing a model AIT for the students to use as a template. **Please note that these documents often include sensitive information and students should be consulted before sharing their AITs with colleagues. In my experience, students are often eager to share once the classroom community has developed a sense of safety and collegiality. I look forward to hearing your thoughts on this activity, TESL Ontarians, and, as always, I welcome any additional information or feedback as we learn from each other. Duff, P. A., & Uchida, Y. (1997).The negotiation of teachers’ sociocultural identities and practices in postsecondary EFL classrooms. TESOL Quarterly, 451-486. Herath, S., & Valencia, M. (2014). 7 Neither “A complete insider” nor “A complete outsider”. Advances and Current Trends in Language Teacher Identity Research, 5, 86. I have also found this activity to be effective when used with in-service and pre-service TESL teacher candidates as it allows them to reflect upon the journeys taken by their culturally and linguistically diverse students. I believe it is a great activity. Thank you for sharing the information. I would like to try it with my adult students. I have been meaning to reply to your blog post for a couple of months. 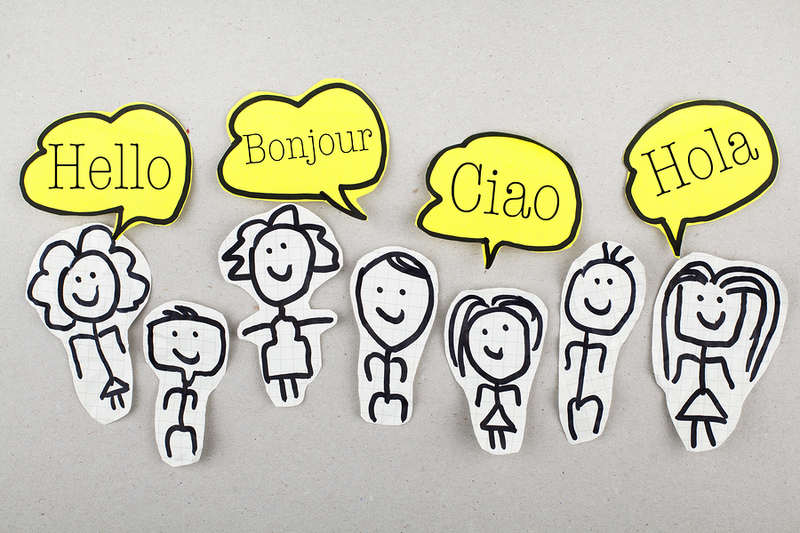 I am very interested in observing student identity develop as language learners interact with their host culture. I’ve used VoiceThread for icebreaking activities, but I have been most touched by incorporating an indigenous narrative into a VoiceThread, embedding formative assessment and inferencing activities for low level learners. The connections students made to the Canadian context, their student identities, and their home cultures were great to observe as they emerged. For those willing to wade deeper into the ed tech waters, Adobe Spark and Touchcast provide interesting methods for interactivity and connecting new knowledge to previous learning in asynchronous environments as well. Thanks for sharing your thoughts, Anna. I am interested in hearing / learning more about Adobe Spark and Touchcast. I will check them out in relation to digital “text” production. I think your comments about the potential of such text creation among beginner learners is important. Many teachers often assume that this type of activity only works with language learners at more advanced speaking / listening proficiency levels. In fact, as you mentioned, this type of activity can be particularly effective with either young learners or beginner learners as it provides the potential for expression of multiple literacies. Indeed, such an activity can be an opportunity for learners with developing literacy skills in several languages (e.g. new Canadians of all ages) to break down the artificial barriers that position them as proficient in one language and deficient in another. When producing Autobiographical Identity Texts (AITs), students can express themselves multimodally and multilingually, thereby positively reflecting their evolving/hybrid/complex identities.